I am forever plagued with the feeling that I’m forgetting something that I meant to read or watch or listen to. I have endless scraps of notes in my phone or scrawls in my Field Notes notebooks about things that I’ve been meaning to check out, but end up forgetting. That’s what Recall is all about, helping you to remember movies, music, books, TV Shows, apps and generally anything else that you’d really like to partake in, but know you’re going to lose track of. 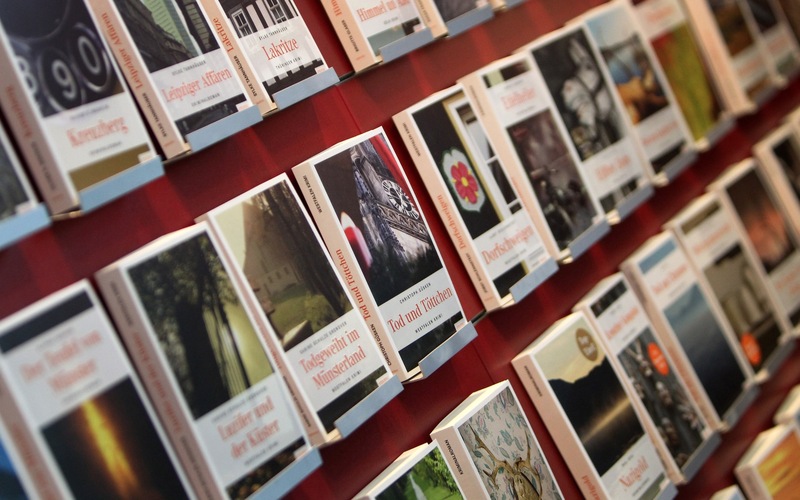 Four main sections greet you on launch, including Music, Movies, Apps and Books. Each of these contain the items you’ve asked Recall to remember for you. Once you bring up an item, you’ll get an iTunes link if it’s available in the store, or a track list and a ‘Remind Me’ button. 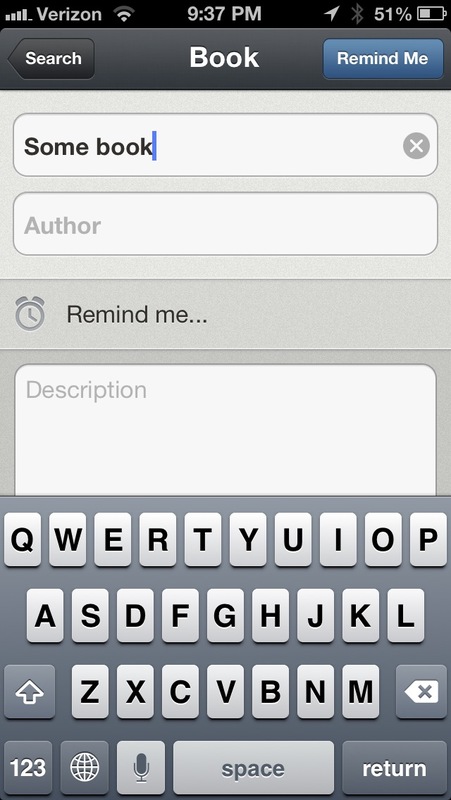 Tapping on that will allow you to set a custom reminder. Unfortunately, you have to plug in a date for many of the items in Recall’s database, as they come exclusively from iTunes’ catalog—aside from movies. Movies are culled from Rotten Tomatoes data, which allows Recall to remind you ‘the day it comes out’ automatically, which is a fantastic experience. Unfortunately, the lack of iTunes or Netflix integration also means that Recall can’t reach out into the future for Movie recommendations, something that Flickd does and is one of my favorite features. The manual setting of alerts adds a bit of friction to the reminder process that I wish they had figured out how to do away with. Set it and forget it alerts are the dream, really. For now, that only exists for movies coming out in the theater or on DVD in Recall. Which brings up another quibble: because the movies don’t come from iTunes’ database, they give DVD release dates, not iTunes release dates. 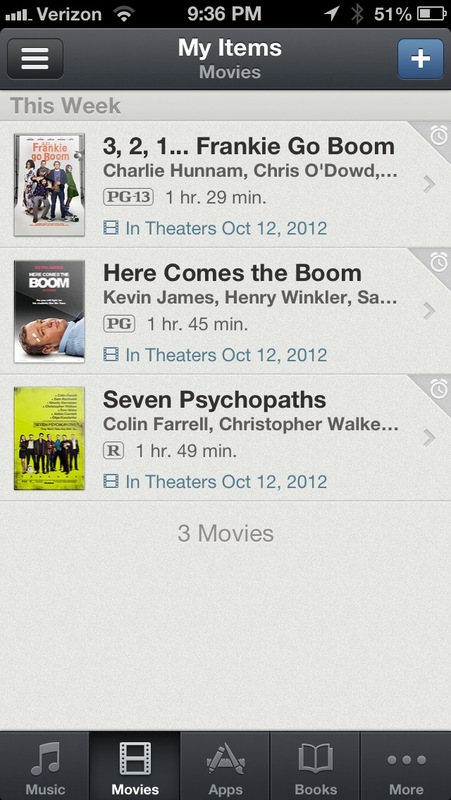 Many times the DVD release dates and iTunes dates coincide, but not always. I’m not sure if there are API limitations, like there are with Netflix, but I’d love it if these two pieces of data could co-exist alongside one another in future versions of Recall. When searching, each category offers the option to create a custom entry, so you’re not limited to the catalog and can really remember just about anything you choose to manually enter. But, aside from those quibbles, the app works as advertised. I’m a fan of movie reminder app Flickd, which works on the Netflix API, but it only handles movies, so Recall is a fantastic option for those of us that like to remember books, music and TV shows as well. The apps section is also interesting, but not for me personally. 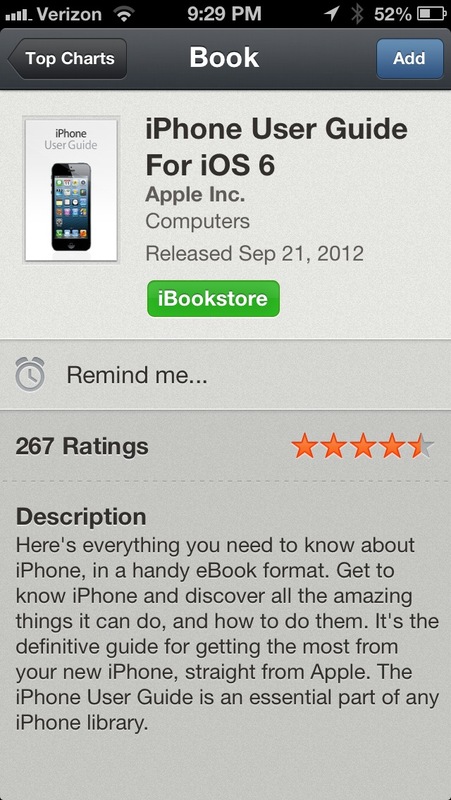 It could help for those on a budget though, allowing them to remember apps that they’d like to purchase down the road. 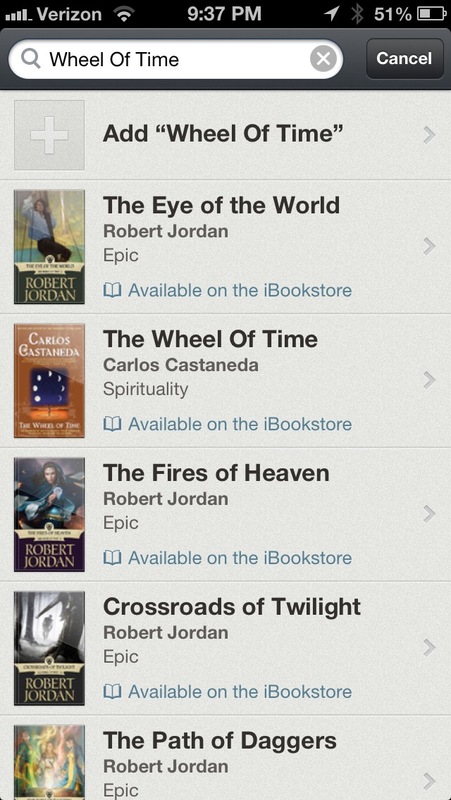 If you’d like, you can also browse the categories by new releases or top charts. This turns each of the buttons into a charting list that you can browse, which is a clever use of the UI. Instead of creating a whole different interface for the top charts, you use the same one that’s used for browsing your list of remembered items. This provides a nice ‘discovery of opportunity’ option. It’s interesting to me that there isn’t a trailer option or way to view the posters larger for movies, but that’s something that could likely be added in a future version. The app is a beautiful collection of pixels too, which makes using it a pleasure. The animations are crisp and quick and the look is rich and subtly textured. 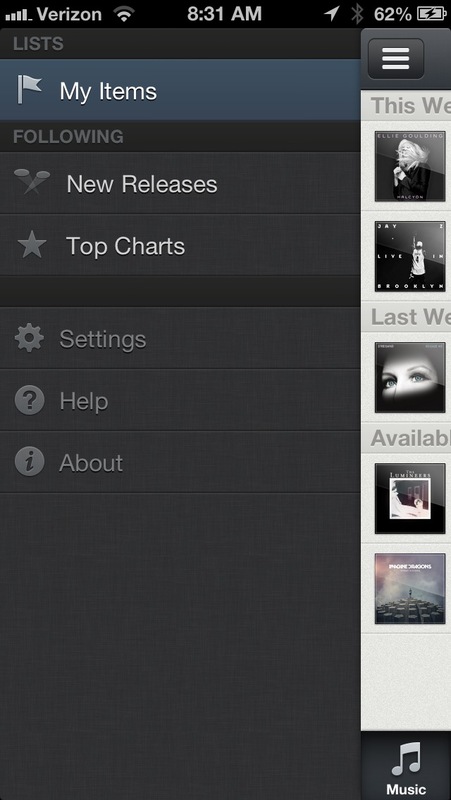 The way that it substitutes the new releases and top charts sections for the main UI is extremely well done. I don’t think there’s a better reminder-type app out there for all kinds of media like Recall and I hope to see some refinements in future versions.